The Aam Aadmi Party (AAP) Punjab on Monday said the Chief Minister Amarinder Singh is not serious about drug menace in state and AAP will keep on reminding him about his oath to weed out drugs after formation of Congress government. Addressing a Press conference, AAP Punjab co-president Dr Balbir Singh, youth wing incharge Meet Hayer and youth president Manjinder Singh Sidhu said Amarinder must reveal the facts of report submitted by Special Task Force on the issue of drugs in state. “The CM must clarify when he is going to take action against Akali leaders responsible for drug menace and indulged in drug trade in Punjab,” Dr Singh said. 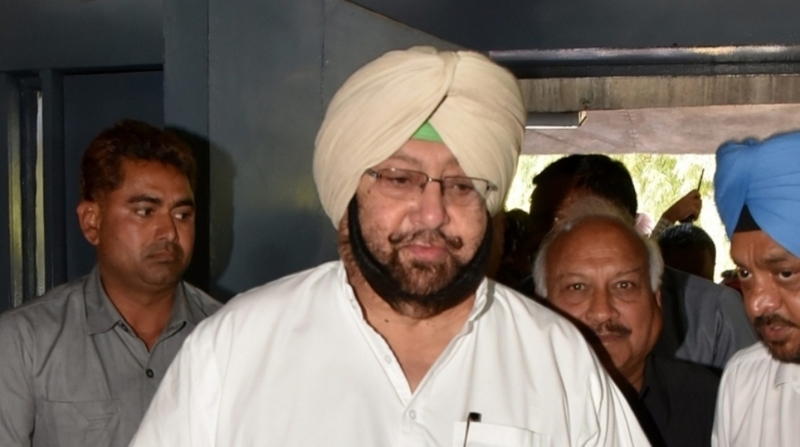 He said Amarinder during his poll campaign promised to put the Akali leaders responsible for ruining the youth of state behind bar but is now running away from fulfilling his promise. Hayer said that the Congress government is trying to diver the attention of people from the issue of drugs with dope test drama. He said that dope is not at all the solution of drug problem and if. Amarinder promises that no death due to drug will take place after the exercise, then he is ready to undergo it twice a day. Hayer said rather than taking action against drug paddlers operating in state, the state government is now harassing its own employees on the name of dope test.